The stair parts above are for a wood framed set of stairs and of course there are other parts used in assembling the stairs, but these are the major components for building this type of stairway. When building metal or concrete stairs you will have treads and risers and they will be located in approximately the same areas. Another word for your stair tread would be your step or the area you place your foot on, while walking up and down the stairs. 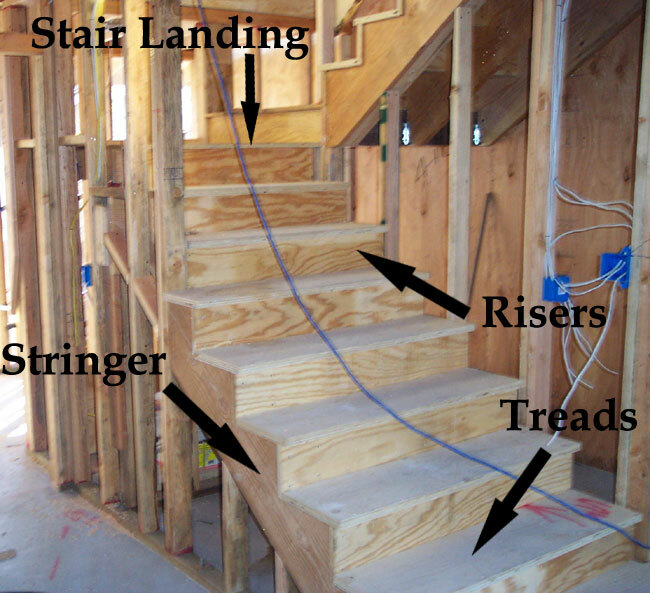 Use the links in the upper right hand corner to find out more about the parts used in constructing a stairway.